you use to complete some fun and different exercises that can help you improve your mobility and tone. I found that the knobs on the roller act as kind of a skin messager so when you are rolling it on your back or legs it’s almost like getting a message. It comes with a handbook that tells you all about the roller, how to use it, different exercises you can do with it, and how to get the most out of the roller. It has a few features that I really like. First you can unscrew the end and the roller is hallow so you can store your materials it comes with the handbook and poster as well as the strap inside the roller. I love this because I hate clutter. I will lose all the pieces if it’s not all inclusive. The second feature I really love it that it comes with a strap you can attach so you can easily carry this item with you to the gym. Just attach it to both ends and you throw it over your shoulder to take with you. It’s really easy to use and I loved the poster that shows all the different exercise you can do with it. Super fun and different way to work out. BUY RISK FREE! Your Happiness Is The Most Important – We Are Sure You Will Love The Rock N Roller But We Offer A SATISFACTION GUARANTEE Anyway! 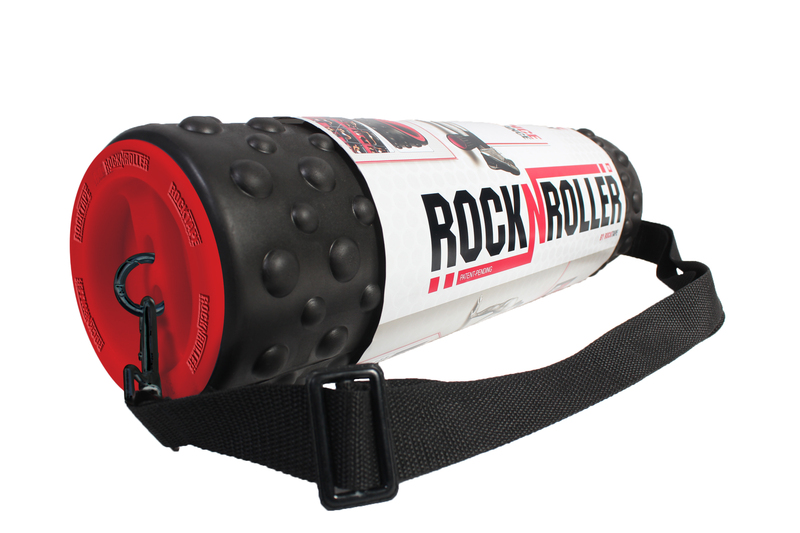 You can purchase the RockNRoller on Amazon!